‘No Parlez’ was Paul’s debut album. It reached number 1 in the UK charts in 1983 for 5 weeks and fast became triple Platinum. The album produced Paul’s first UK number 1 single - The Marvin Gaye cover of ‘Wherever I Lay My Hat’ and hits ‘Come Back & Stay’ & ‘Love of The Common People’. The album also features a cover of Joy Division’s ‘Love Will Tear Us Apart’. 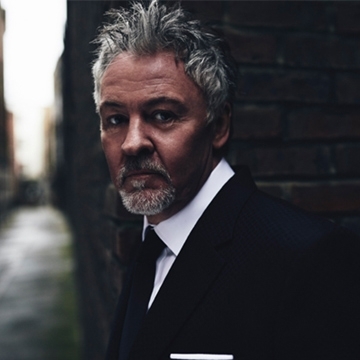 Originally in early 80’s band Q-Tips, Paul Young went solo in the 80’s and his career took off with ‘No Parlez’ and further top 10 hits such as ‘Everytime You Go Away’ & ‘Everything Must Change’. He is also a Brit Award winner for Best Male vocalist, sings the opening lines on the original Band Aid Single ‘Feed The World’ and performed at Live Aid in 1984.